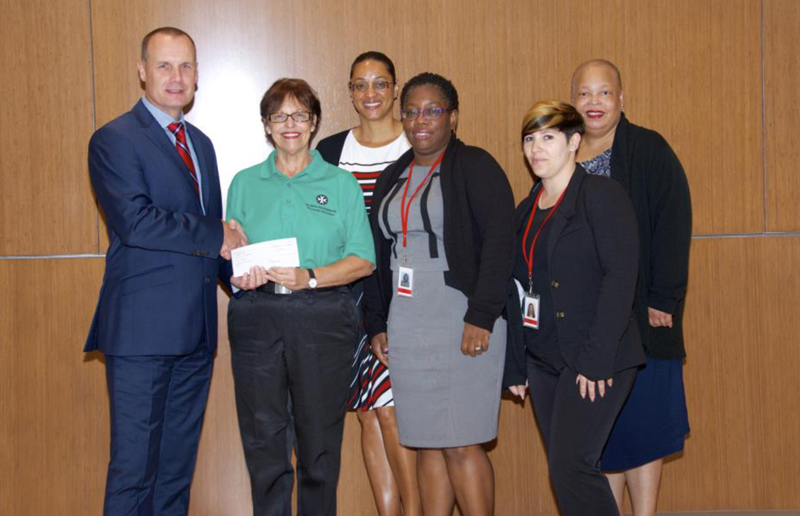 This week, HSBC Bank Bermuda employees made two separate donations of $4,000 each to the Order of St. John’s Ambulance Bermuda and Friends of Hospice. Kevin Oates – HSBC presenting to Veronica DeSilva of the Order of St. John’s Ambulance Bermuda. 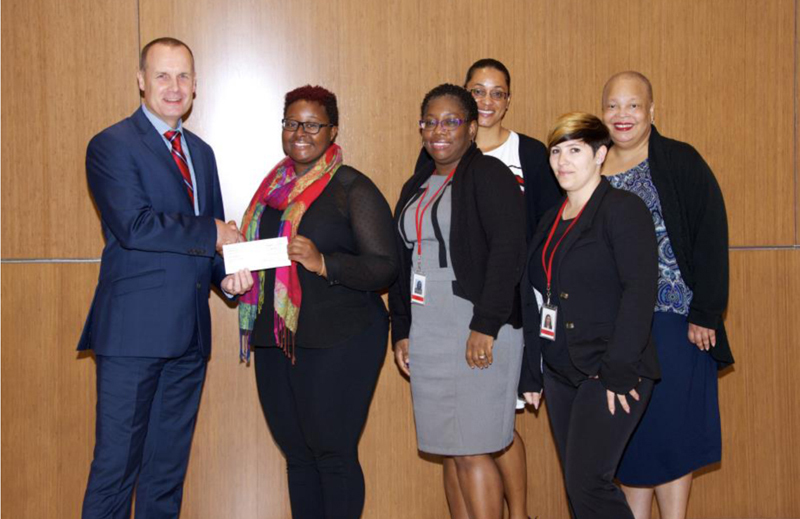 With Mr Oates are HSBC employees Teresa Watts, Jeanann Edwards, Gloria Aguiar and Kelly Weakley. The funds were raised by HSBC Operations, Services and Technology [HOST] employees over the last year through their Denim Day donations. Pictured left to right: Kevin Oates – HSBC presenting to Jeelise Ellen of Friends of Hospice. With Mr Oates are HSBC employees Teresa Watts, Jeanann Edwards, Gloria Aguiar and Kelly Weakley. Kevin Oates, Head of Information Technology at HSBC Bermuda was joined by members of the HOST Social Committee for the presentations to the respective charities and shared, “These particular charities were chosen from a list of over 100 registered charities as those the employees most wanted to give back to, due to the significant and positive impact both have made in Bermuda.